Mrs. Torres was born in Louisville, Kentucky but moved to Texas during elementary school. She is a graduate of Richardson High School near Dallas. Mrs. Torres attended Stephen F. Austin State University and received her Bachelor’s Degree in Spanish and Sociology with a minor in Social Rehabilitation Services. She received a Master’s Degree in Spanish, and a Master’s Degree in Education with a Mid-Management Certification. She also received a Superintendent’s Certification from Stephen F. Austin State University. Mrs. Torres is beginning her 37th year working in the field of education here in Lufkin. After spending 30 years at Lufkin High School as a Spanish teacher, department head, activities director, assistant principal and associate principal, she currently serves as the Deputy Superintendent for Curriculum and Instruction for Lufkin ISD. Mrs. Torres is a member of the Kurth Memorial Library Board, the Tree Board of the City of Lufkin and the Lufkin City Council, Ward 3. Mrs. Torres is married to Pablo Torres, Jr., who is an elementary principal with Lufkin ISD. She has two children, Jeremy and Jessica. Mr. Medford is a Lufkin High School graduate. He attended The University of Texas at Austin where he received his Bachelor’s and Master’s of Fine Arts. He also received a Master of Arts from Stephen F. Austin State University. Mr. Medford is the current Director of Angelina Savings Bank and the President of I.D. & Marguerite Fairchild Foundation. He is a Past President of the Lufkin Association of Realtors, Past President of the Lufkin Host Lions Club, Past President of the Board of Trustees of St. Cyprian’s Episcopal School and a former member of the Lufkin City Council. Mr. Medford and his wife have two grown children, Amanda Galati of Fort Worth, Texas and Clayton Medford of Woodbridge, Virginia as well as five grandchildren. Mr. and Mrs. Medford are members of St. Cyprian’s Episcopal Church. Her numerous civic activities included service on the boards for 4 B Economic Development Corporation (4 B) Angelina County Health District, Hospice in the Pines, and Boys and Girls Club of East Texas, and involvement in Leadership Lufkin, United Way, Junior Achievement, Junior League of East Texas, the Mayor’s Task Force on Rehabilitation, and the LISD Better School Task Force. Other honors include the Silver Spike Award for Community Service presented by the Chamber, graduation from Leadership Lufkin, and appearing on the cover of The Journey magazine. She has been active in community service organizations such as Top Ladies of Distinction, holding various offices for the Lufkin chapter and receiving several TLOD community service awards. Andra is the Clinical Services Director for the Lufkin State Supported Living Center. She also completed 29 years of service at Memorial Health System and was the Director of Rehabilitation Services. (inpatient and outpatient services. Andra is a graduate of Lufkin High School. She earned a bachelor’s of science degree from the University of Houston and is also a registered medical technologist through St. Joseph’s School of Medical Technology. Andra holds two master’s degrees (in education and in business administration) from Stephen F. Austin University. Andra is married to Kenneth Self, Director of Woodland Crossing, Lufkin State Supported Living Center. They have two children, Jonathan (business major) and Tiffany (ECH teacher in Denton, Texas). Mayor Brown retired from Electric Utility Company (TXU) in 2006 after 40 years of service. He has been married to Tony for 46 years and they have two Daughters, Tana and Denna (deceased 1993). Tana is married and living in Katy with her husband, Greg, and two boys, Grayson and Griffin. Brown has served in leadership roles at Lufkin First Christian Church for the last 29 years and teaches 3rd, 4th and 5th Grade Sunday School. Mr. Shankle was born in Newton, Texas and became a member of the Lufkin community at a very early age. He received his education in the Lufkin Independent School system and graduated from Lufkin High School in the Class of 1985. A Desert Storm Disable Veteran, Councilman Shankle served in the United States Army, National Guard, and US Army Reserve for a total of 14 years. He has assisted in founding several committees for the benefit of the community including The Lufkin Pro Day Group, The Neighborhood Leadership Council of North Lufkin, and Clergy and Police Alliance (CAPA). Councilman Shankle is a member of Texas Association of Black City Council Members and National Black Caucus of Local Elected officials. Councilman Shankle is a member of The Church by Christ Jesus where he is very active. Mr. Todd is the Vice President of the Advanced Financial Group and has been with them since 2002. He is a 1994 graduate of Lufkin High School and earned his Bachelor of Science degree from the University of Texas at Austin in 2000. Jeff is the 2015 recipient of the prestigious Jack O. (Butch) McMullen Silver Spike Award, presented by the Leadership Lufkin Alumni. Jeff is a Past President of the Lufkin Host Lions Club and a past Chairman of the Z&OO Railroad Board. He is also a 2022 graduate of Leadership Lufkin and currently serves on the Lufkin/Angelina Co. Chamber Board of Directors, Hospice in the Pines Board of Directors, Angelina County Go Texan Board, the Lufkin High School Alumni Association Board of Directors and the Humane Society of Angelina County Board of Directors. Jeff’s wife, Katherine, is a 3rd grade teacher with Lufkin Independent School District. They have two sons, Miller and Hollis. The Todds are members of St. Cyprian’s Episcopal Church. Stephen Greak is the Chief Financial Officer for multiple companies including Winston Family Investments, WinCo Development, LLC, RedZone Coil Tubing, LLC, 300 Mile Investments, LLC, Scorpion Pressure Control, LLC and Denali Iron & Disposal, LLC. As CFO of these companies, Greak is responsible for the overall financial management, financial reporting and transparency, multiple functions including Treasury, Tax and long-range planning and analysis. He also serves as the primary interface between management and the operational teams. Greak, 46, has extensive operational and financial experience along with key leadership roles. Prior to joining The Winston Group, Greak managed, Greak & Associates, PC, LLC, and offered financial planning and analysis, business plan development, and tax preparation. Greak is a graduate of Stephen F. Austin State University with a Bachelor of Business Administration degree. Greak is a member of the Texas Society of Public Accountants, American Institute of Certified Public Accountants, State Board Public Accountancy – Texas, and Certified Public Accountant, Texas. He and his wife Julianne have two children and reside in Lufkin, Texas. Mr. Samford joined the City of Lufkin Economic Development team in February 2018. Bob worked for Temple-Inland over 20 years. As the Director of Ad Valorem Taxes he was responsible for approximately $30 million in annual tax payments, managed the approval of tax abatements and a variety of economic grants in multiple states. Bob was also the Director of State Government Affairs, responsible for all aspects of Temple- Inlands’ local and state government activities. Bob’s most recent job was with BHP Billiton, the world’s largest mining company, as the Texas and Louisiana Corporate Affairs Manager, where he worked directly with local and state officials. Bob has served on the Texas Association of Manufacturers Executive Committee, the Texas Taxpayers and Research Association Board of Directors and the Texas Forest Industry Council Board of Directors. He has also served on the boards for Dell’s Children Hospital Volunteer Services, the Lake Travis Education Foundation and the Texas Parks and Wildlife Operation Game Thief. Mrs. Stacy joined the City of Lufkin Economic Development team in September 2017. She is a graduate of Lufkin High School. Mrs. Stacy attended Texas A&M University and earned a Bachelor of Science degree with a major in Recreation, Park and Tourism Sciences and a minor in Business. Lauren is married to Caleb, and they have one daughter, Olivia. Keith came to work for the City in March, 1995. Keith is a 1986 graduate of the University of Houston and is a registered professional engineer in the State of Texas. He is also a nationally certified floodplain manager. 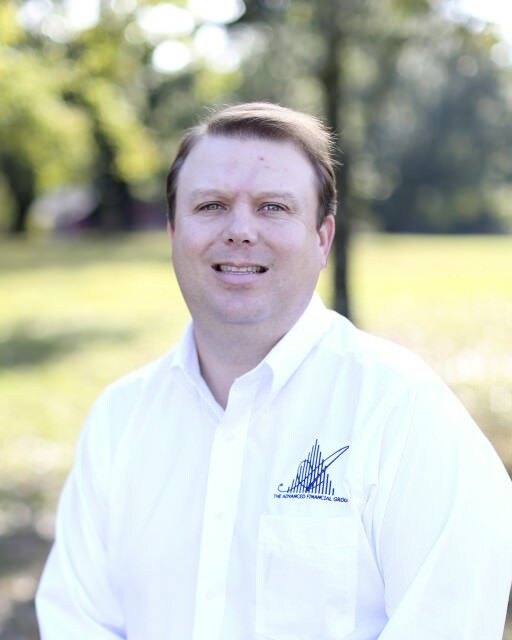 Keith has served as President for the Deep East Texas Chapter of the American Society of Civil Engineers and the Pineywoods Chapter of the Texas Society of Professional Engineers and is an active member of both organizations. He is currently serving as the President of the Pineywoods Groundwater Conservation District. Keith is married and has two children. Mr. Green came to the position of City Attorney from a background in legal education and civil litigation. He formerly served as a law school dean and law professor, and a trial attorney specializing in 42 U.S.C. § 1983 civil rights actions, including the defense of municipalities in federal courts around the country. Green has litigated cases in twenty-four states and the District of Columbia and is admitted to practice law in the state bars of Texas, Colorado and Montana, and in the Second, Fifth, Seventh, Ninth and Eleventh Circuit Courts of Appeal, the federal district courts of Illinois, Texas, Colorado, Montana and the Western District of Pennsylvania, as well as the United States Supreme Court. He has also been a member of the Federal Communications Bar in Washington, D.C. and argued cases before the Federal Communications Commission.